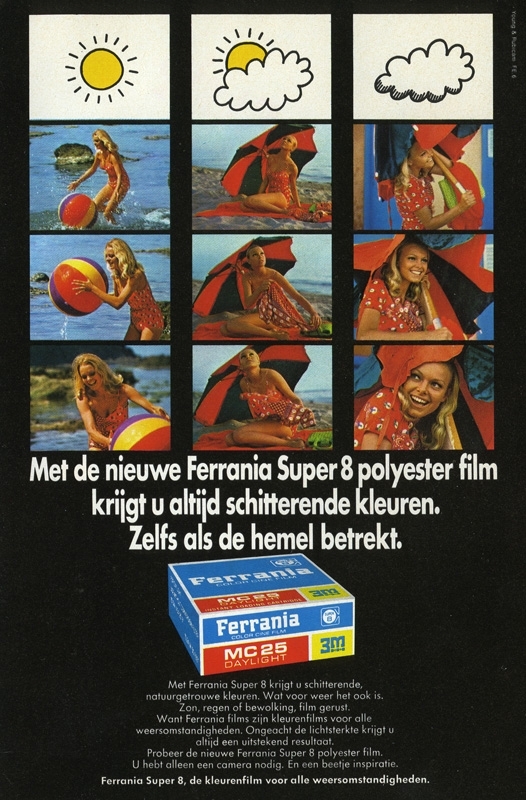 As recently heard in various forums, the old brand Ferrania sems to get revived somehow: Rumors said that there were plans to start producing analogue film again. Hello and welcome to this mailing list. Just a few words to thank everybody who subscribed, although no more than a single brand is shown at the moment on the Ferrania home page. We think it is worth answering some questions that often arise on the discussion boards we are also following. As you know, Ferrania discontinued its photographic products some years ago and after that some buildings and equipments were dismantled or sold because the destiny of film seemed to be compromised forever after introduction of digital. Obviously we dream to put the film in a new era where it can live in symbiosis with digital imaging technologies. After more than one year of work, we are finally trying to start again with a small production of film. But rescaling a production workflow is not an easy process: some chemical products are not available anymore on the market, former Ferrania workers and engineers must be involved again in a completely new production workflow, etc. We worked a lot on many of the above issues and now we are proud to say that the moment is arrived of really making film. Right now there is a six month R&D project aiming to produce a first Jumbo of film. If during this period we are able to solve all the remaining technical issues and if the market gives us a reasonable preliminary feedback, we will be ready to go ahead and ship new film in the first quarter of 2014! Ok, now the question is: what kind of film? We think it is better to start revamping the very last produced emulsions. The first two that we will make are a color negative film derived from Ferrania Solaris FG-100 Plus (only for still photographs) and a professional color reversal film derived from Scotch Chrome 100. We have the equipment to finish film in almost all photographic and motion picture formats: 110, 120, 126, 127, 135, 220, Super 8, Double 8, 16mm, 35mm and 70mm but at first we will put on line only the ones that are requested by the market. More details are coming, please continue to follow us! Anybody interested should signup on their site www.filmferrania.it for the mailing list — not just to stay informed, but to show support and interest! This fantastic news! Double8mm and super 8 color reversal would be great. 120 all the way for me..
Double-8 transparency or negative please. Would mostly like transparency.